Remember what it felt like the last time you realized you had a hole in your ? Or even worse when your feet weren’t supported by the you’d had for way too long and your feet hurt? It breaks my heart to think there are kiddos that wake up everyday and put shoes and/or socks on just like I described above. Feel the same way? I have an opportunity for you to help make a big impact on one of our local communities this holiday season! 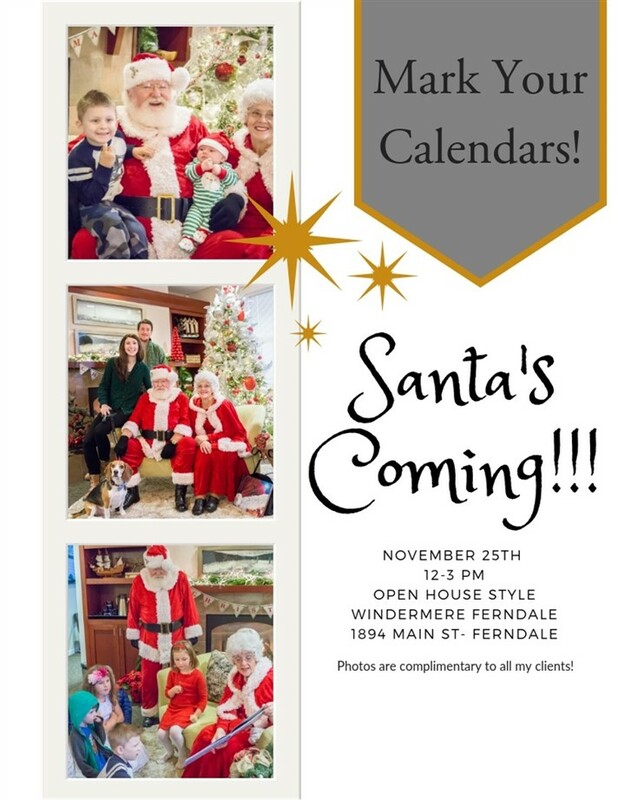 @windermerewhatcom is supporting the Boys & Girls Clubs of Whatcom County and buying socks and shoes for Lynden Kiddos in need on December 12th and December 13th. I can’t wait to help a kiddo shop! 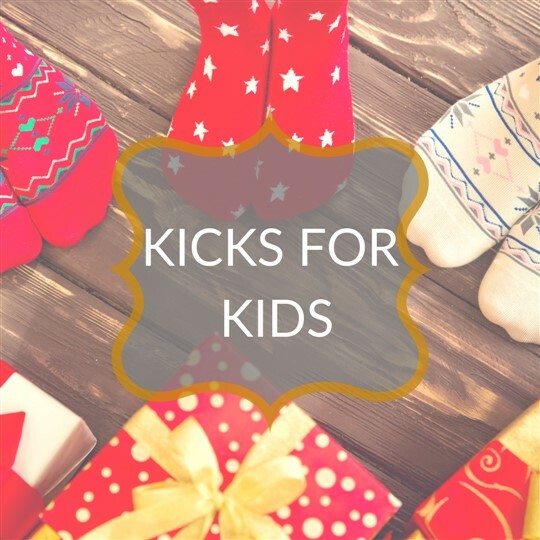 We’ll have our Kicks for Kids box in the Lynden Windermere lobby until December 11th. You can drop by a pair of new there or at any Windermere Whactcom Office and say they are for me. All socks will go to the Boys & Girls Club. Thank you for helping me support this great cause! Getting ready to put your home on the market or just want to give it a fresh look? You probably have heard that professional photos and video increase the chances of your home being seen online! However, you’ve got to clean up your home a bit before we can get to the good stuff. It’s a daunting task, but decluttering and cleaning up will help attract the most buyers. 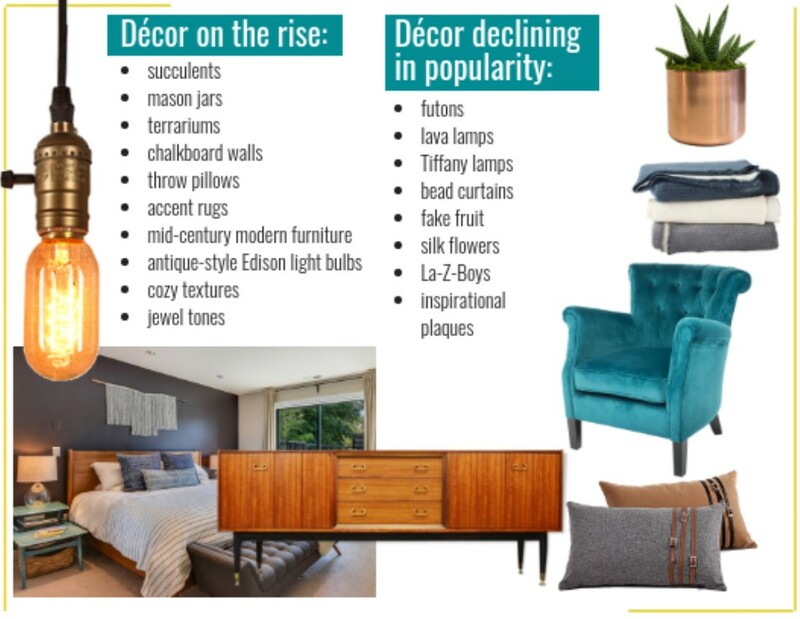 Once you’ve said bye-bye to that clutter and have made your home look spruced up, you can go back in and add some decor that will accent what you already have and catch the eye of a potential buyer. Here are some decor ideas that are current with today’s style and will add a touch of ‘wow factor’ to your Realtor’s marketing techniques. Sarah’s What Knots Fall/Winter Bazaar! Beverages & Cinnamon Rolls 9 a.m. – 11 a.m. Lunch 11 a.m. – 2 p.m.
Nov. 15: 5 p.m. – 9 p.m.
Nov. 16: 9:30 a.m. – 9 p.m.
Nov. 17: 9:30 a.m. – 5 p.m.
As compared to Q2 average sale price dropped Year Over Year just under a percent but the average sales price in the 3rd quarter is up about $11,000 from quarter 2. List to sale time is right about the same and so is average price per square foot. 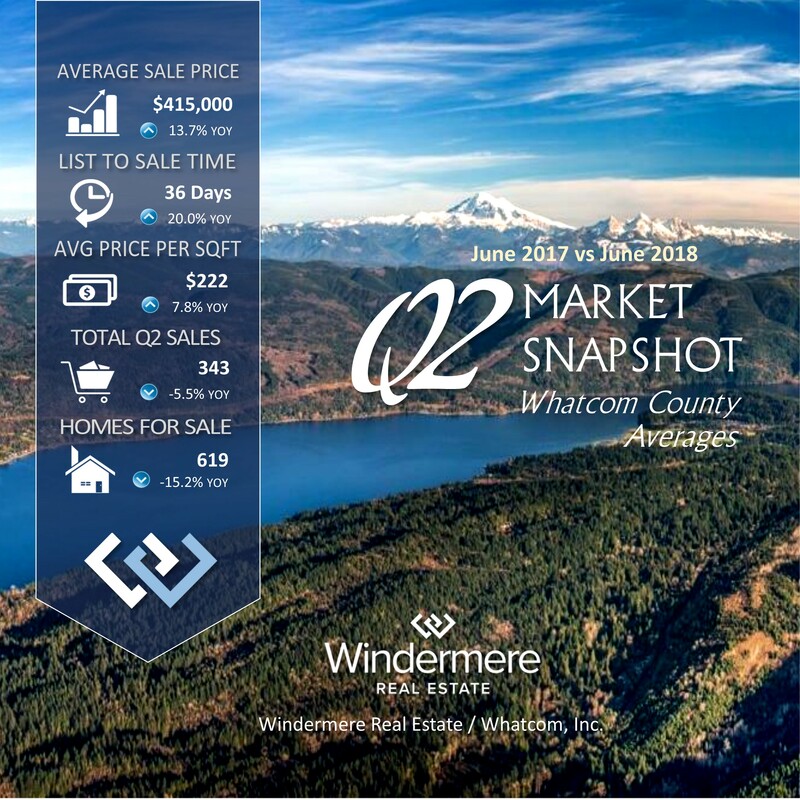 It’s always impressive to me to notice the different in total sales from the second to the third quarter- almost triple the amount of homes sell in the 3rd quarter than the 2nd! Inventory is up about 60 homes from Q2 and, surprisingly, down almost 16% from Q3 last year. Want the full report from Matthew Gardner? Download it here! Have you ever struggled with what color to paint the exterior of your home?! Guess what? You aren’t the only one! I’ve been getting asked for suggestions on how to start this process a lot lately- so here you go! Here’s my system for outside and maybe, just maybe I will have a special guest tell us how to approach the inside walls of a home. Make a list of new construction neighborhoods around town (not sure? I can pull you a list of new construction in Bellingham), grab the person who you have to agree on this decision with, and a pumpkin spice latte (sorry, I couldn’t resist) and hop in the car! Drive through these neighborhoods and point out the ones you like the colors of. Find a few you agree on and then take a few photos of them (make sure you write on your list the address of the homes you are taking photos of – and the color next to it… I’ll come back to this later). Keep in mind your style of home. If you need 3 paint colors (house, trim and an accent color) look for other homes that are using the same number of colors. Many homes in the Bellingham area are craftsman style with shingles and natural wood posts. You may have to consider stain colors for any wood elements as well. Bring those photos home and PRINT THEM. I know, weird to think you’d print a photo in this day and age. If its been a while since you’ve printed one and you get stuck on this step, just upload to your closest @walgreens and pick up in an hour! Take those printed photos outside, stand on your street and hold them up so you can see the colors and your home in the same line of sight. Order them by your favorites. Now, go for a walk. Walk both ways down your street and make sure that that color won’t be a total eye sore with the surrounding homes. If for some reason #1 doesn’t quite work with the neighbors, then consider #2! Alright, now you have decided on a color and possibly a trim color-so you might be thinking how do I know what color it actually is?! Guess what-there’s an app for that! Most major paint brands (for sure Sherwin Williams, Behr and Benjamin Moore) have an app that you can use to take a photo of a color and it will identify the hue and pick the closest shade in that brand. It’s not the smartest idea to use the app to take a photo of the printed color- so go back to your list and drive to the home you wrote the color you chose next to and get as close as you can to the house without being a weirdo and use the app to identify the color! If you took your picture from new construction, you may also be able to contact the builder to get the exact color codes for the paint. 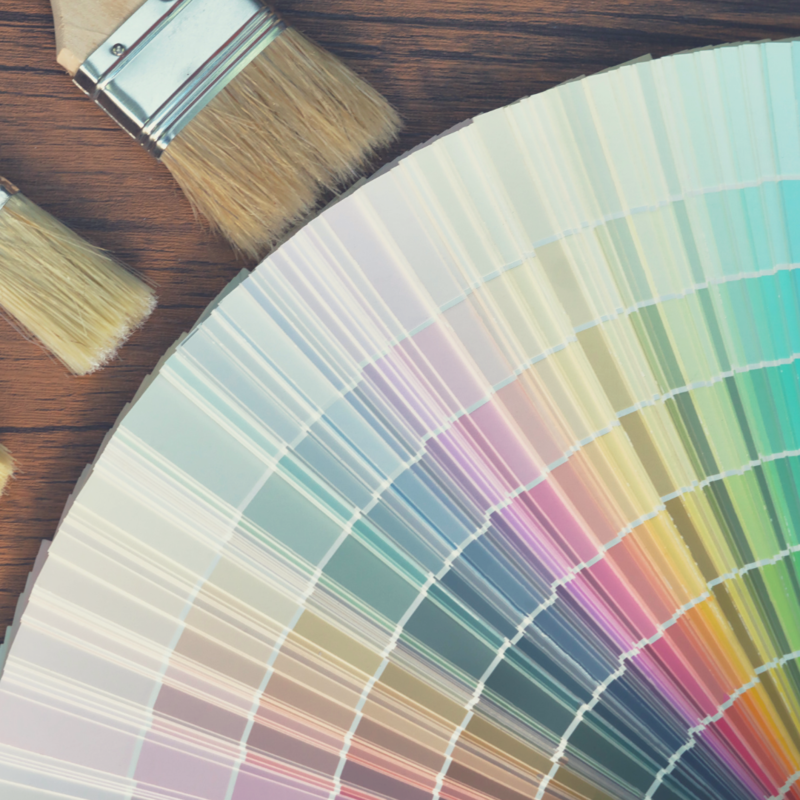 Before you paint, if you’re part of a home owner’s association, have your association review your paint colors to make sure there are no conflicts with your HOA rules. I’m sure you’ve heard this phrase once or twice, and may wonder what inspires us brokers to say the word three times. The word is repeated three times for emphasis, and it is the NUMBER ONE rule in real estate, though it is often the most overlooked. In a nutshell, location, location, location means if you were to compare two identical homes one is worth more in value due to location. . The Epitome of Location, Location, Location: You can buy the RIGHT HOME in the WRONG LOCATION. You can change the structure, remodel it or alter the home’s layout but, ordinarily, you cannot move it. It’s attached to the land. 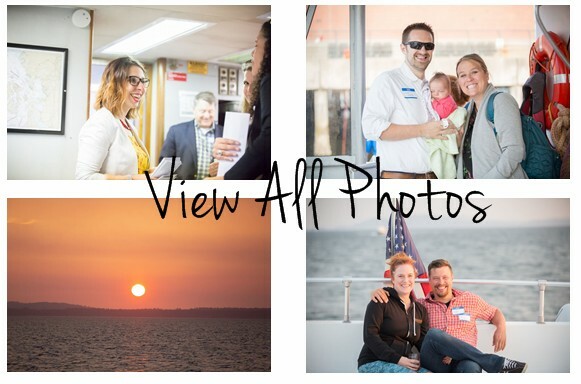 The best locations are those in prime spots, but “prime” is subject to opinion by each buyer… what is important to each person is different, right?! What’s most important to you when you consider location for your home? I’d love to hear! 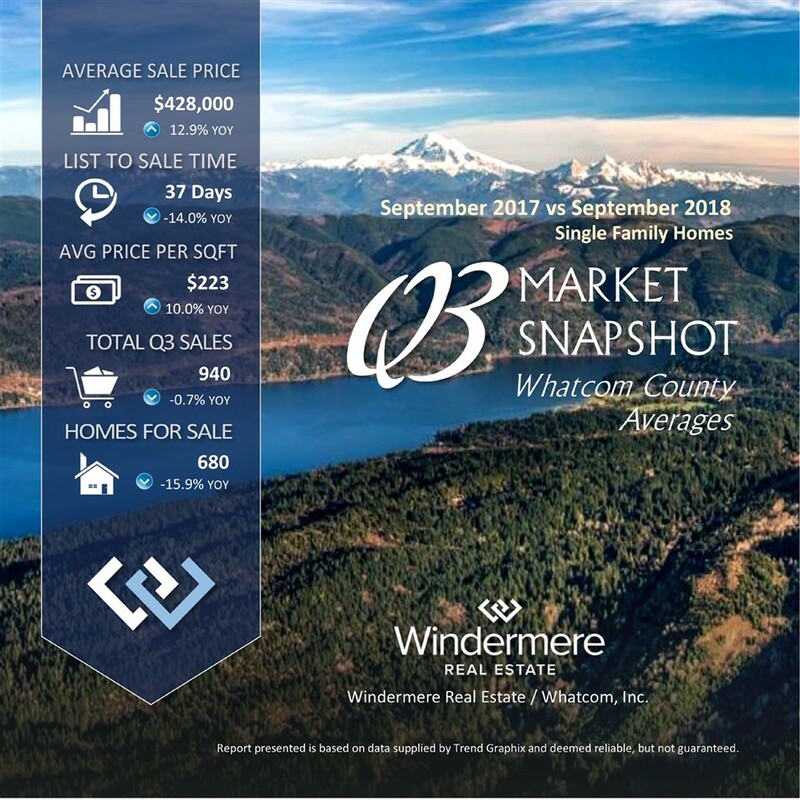 It is no secret that the real estate market in Whatcom County is red hot! If you’re wondering what the market looks like now in comparison to a year ago, take a look at the image below. The ongoing trend remains that inventory is low. If you’re thinking of selling your home, now might just be the perfect time to do it!